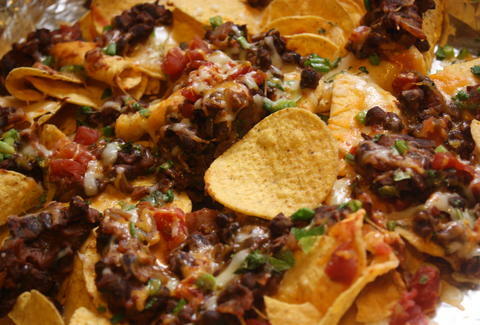 Chances are, you've knowingly eaten Tex-Mex food... unless you hate nachos, in which case you have bigger problems. But chances are also that you have unknowingly consumed it, too -- and we're not talking about it creeping into your mouth while you're sleeping. It turns out that most "Mexican" food North of the Border is actually Tex-Mex, a distinctly Northern cuisine with a totally different story. To get the real scoop (the refried bean-less scoop), we enlisted Dallas-based Tex-Mex Chef Nico Sanchez of El Fenix and Meso Maya and food writer/historian Nancy Nichols of D Magazine to detail the history of Tex-Mex, and the must-eat dishes. Tex-Mex food, as we know it today, is a relatively recent invention. Back when America was still young and Chuck Norris was merely a twinkle in the eye of Paul Bunyan, Anglo-American settlers marched ever-Westward into what is now Texas, where they first encountered Mexican cultures and cuisines. 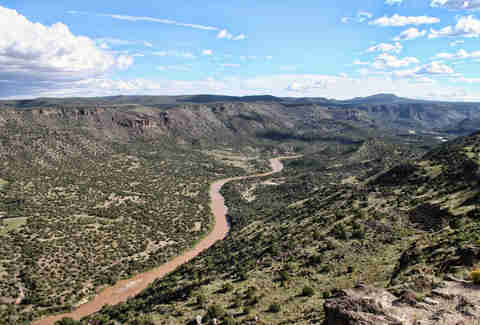 The area around the Rio Grande was awash in exotic (to them) dishes, but certainly no nachos or chili con carne. As more and more people settled in Texas, the popularity of Mexican food (available due to its proximity) grew and grew. Folks started attempting to make it themselves in their own kitchens, using quintessential Texan ingredients like beef and wheat flour -- two things that aren't extremely common in Mexico proper. Mexican restaurant owners in Texas soon started incorporating more gringo elements into their dishes to accommodate the crowds, like putting ground beef in enchiladas. 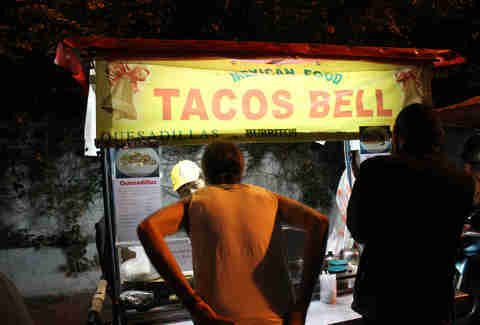 What resulted was an entirely new type of cuisine that put a spin on Mexican food concepts: Tex-Mex. The term "Tex-Mex" didn't start appearing in print until around the 1940s, and caught on full-scale in the 1970s, when food writers like Diana Kennedy exposed it to a national audience in a cookbook (The Cuisines of Mexico) that drew a line in the sand between the foods found North of the Border and the real thing. Basically, the assertion was that most Mexican food in America was technically of Tex-Mex extraction -- but what's the difference? That burrito you're eating? Tex-Mex. 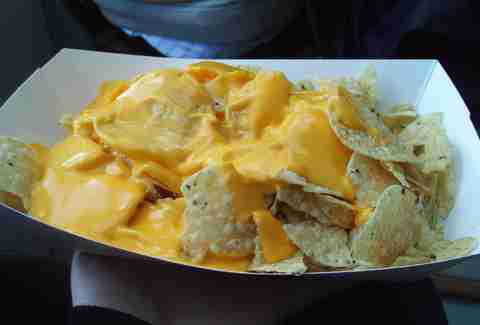 Those nachos? Mexican, with a healthy dose of Texican. 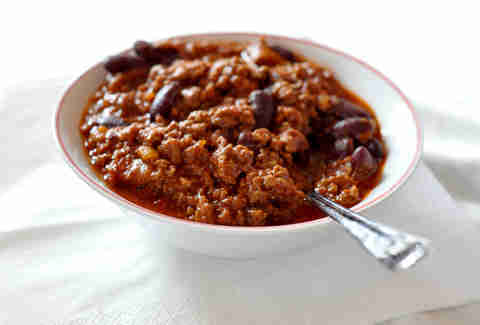 Chili con carne? Let's just say any Mexican will look at you con confusiòn. Chances are, if you're eating anything with one or more of those ingredients, it's Tex-Mex. 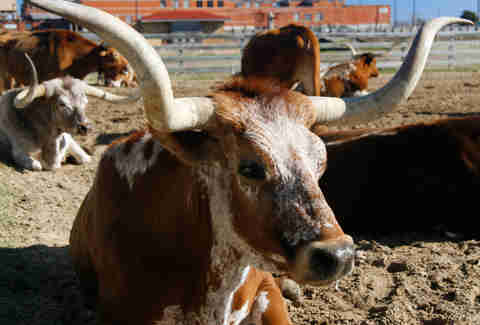 Beef was the meat of choice for Texan ranchers back in the day, but it's hardly used in Mexican cuisine outside of the extreme Northern reaches of the country. Cumin was imported to the US and England from India, and, while it's been slowly incorporated into dishes in Mexico, the US was quicker to adopt it as a spice. 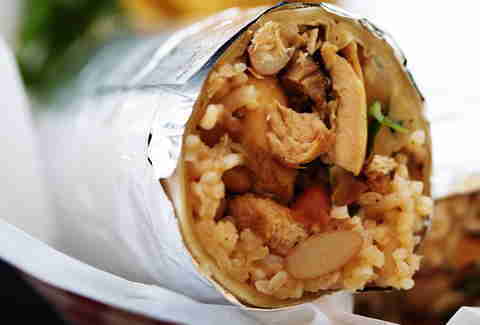 And let's face it -- gringos love wheat, and pretty much any burrito you'll find up here is wrapped in a wheat tortilla rather than the maize-based tortillas down South. A general rule is that the more starch there is, the more Tex-Mex it is (with the notable exception of tortas). Nancy sums it up: "When you say 'Mexican food', you're talking about the cuisine of a whole country with different regions. In the Yucatan, you have seafood dishes, in the interior you have different proteins as the basis for the dishes, and there is a different mole for every town in the country. 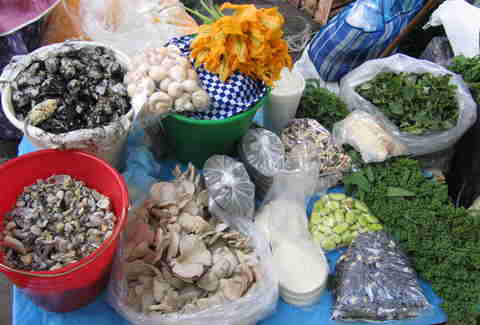 Mexican food preparations are similar to French -- they involve a lot of ingredients and time." Tex-Mex, according to Nico, uses a narrower set of base ingredients. 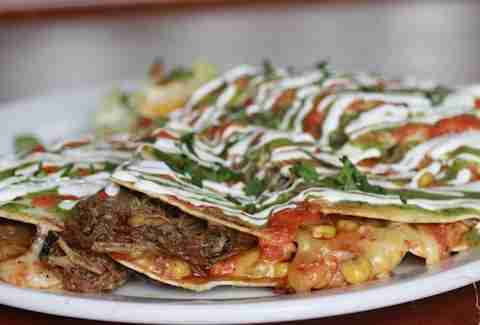 Basically, Tex-Mex is a distillation of Northern Mexican and Texan rancher cuisines into one bready, cheesy bundle. Pioneering chefs, like Stephan Pyles, elevated the cuisine to gourmet standards, turned it into one of the most American cuisines, and allowed it to branch into all the different dishes and restaurants you see today. 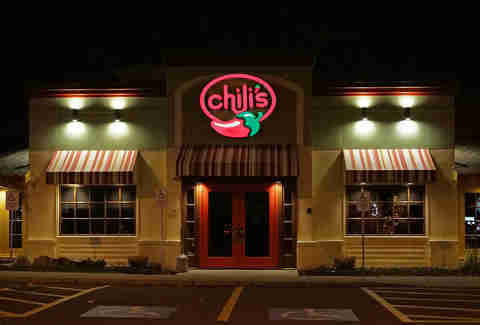 Even Chili's. Sure, nachos might've been invented in Mexico by Ignacio "Nacho" Anaya, but it was only because a bunch of Texan ladies flocked to his restaurant after-hours and asked for a snack. The versions you see around the country today, frequently doused with molten, yellow cheese, are very much a Northern delight. 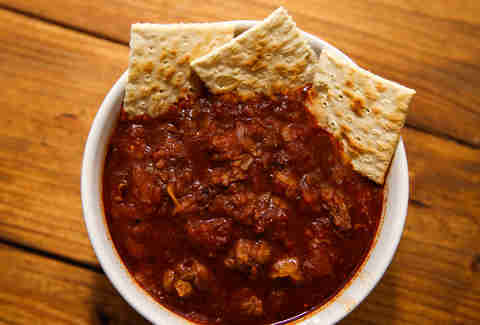 Considered by many to be the quintessential Tex-Mex dish, this tomatoey stew of ground or cubed beef, beans (if you're not a tried-and-true Texan), spices, chili peppers, and other accoutrements is very much a gringo invention, created by Texan settlers out of widely available ingredients. Actually, it's based on Northern Native American recipes. Not Mexican. 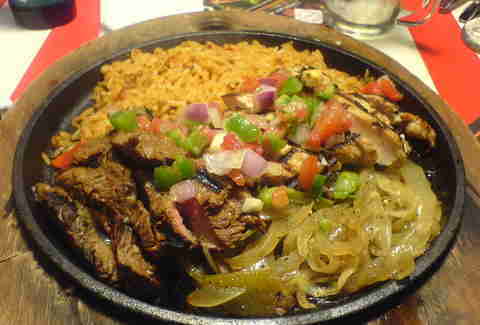 Derived from the Spanish word "faja" -- meaning "strip" (which refers to the cut of beef they used, pervert) -- fajitas are wholly a US creation (first mentioned in print in 1971) inspired and informed by the ingredients of Mexico, but not usually found in that country. The wheat tortillas served alongside the meat (and assorted vegetables) make it pretty apparent where this dish came from. Queso dip, chimichangas, the enchilada as we know it... you name it, it's been Americanized. But that's not to say that it isn't still delicious. Adam Lapetina is a food/drink staff writer at Thrillist and will devote his life to figuring out the minute differences between Mexican and Tex-Mex if nobody else wants to do it. Read his musings on Twitter at @adamlapetina.